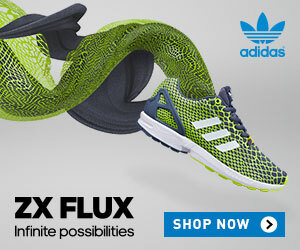 SpeedEndurance.com has partnered directly with adidas to provide the latest track spikes. Below are the top selling spikes for sprinting, running, and the horizontal jumps. Zip ahead of the pack with the sleek, stealth adidas Powersprint 2 track and field shoe. This ventilated, lightweight sprinter features full-length Z-spikes for the grip you need without added weight. Read my review from March 2010. If the 800 and 1,500 are your events, this is your running shoe. The adidas adiZERO MD is a lightweight spike made specifically for mid-distance events, with a well-cushioned design, glove-like fit and great step-in comfort. Choose the flat made for long-distance running. Light and responsive, the adidas adiZero Cadence is built to keep your strides efficient mile after mile, with a design that helps optimize power transfer and minimize fatigue. In long jump it’s all about speed, strength and technique. And each depends on stability. That’s why the super-lightweight adiZero Long Jump shoe sports a forefoot spike-plate, a sleek lace cover and a pre-molded EVA midsole for hard-digging comfort. Victory is just a hop, step and a jump away. 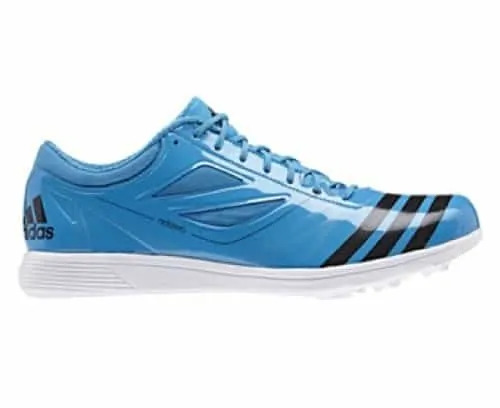 The adiZero Triple Jump shoe makes each one of those movements explode with adiPRENE+ forefoot propulsion, an aerodynamic upper, flared heel and sturdy spike-plate. READ What Can We Learn from Secrets of Soviet Weightlifting? 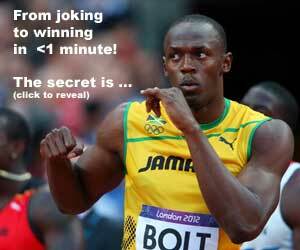 Any particular adidas spikes for 400m you would suggest Lee? Not necessary to be 2011 spike keep it up man! Hi, I am just thinking to suggest the Adizero MD to a 18 years old girl who runs 100 hs. Actually she is a high level hurdler but she has a lot of underfoot tendons problems with stiff spikes. I am looking for a good mix between flexibility (for her health) and stiffness (for her speed) and Adizero MD seems to be right. What to you think?